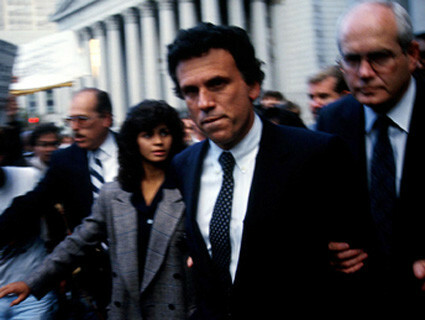 Milken was indicted for racketeering and securities fraud in 1989 and reached a plea deal/. Wealth-management executive David Bahnsen sent a plea to President Donald Trump this week to pardon Michael Milken, one of the most powerful figures in Wall Street history to go to prison, reports Bloomberg. Bahnsen, a managing director at Morgan Stanley before he started his own wealth-management group in 2015, told Trump in a letter that Milken’s prosecution was a result of “a period of class envy run amok.” Bahnsen, a Republican donor, said in an email he’s never met Milken. Read David Bahnsen’s Letter to President Trump. Not going to happen. It was Rudy Giuliani who put Milken in jail. The establishment hated Milken (and still does) and it was an important conviction for Giuliani that did a lot to advance his climb up the elitist ladder. For Trump to pardon Milken, it would be another smash to the face of his crony buddy Giuliani. But, then again, when Giuliani recently came down with prostate cancer, Milken opened up his prostate research facility to Giuliani. Does Giuliani have enough of a soul to advocate a Milken pardon? Does Trump care about any of this? Were any of Milken's clients actually "duped?" Didn't they all know (or should have known) that they were getting high interest rates in return for risky lending? Was Milken's real "crime" competing with banks?